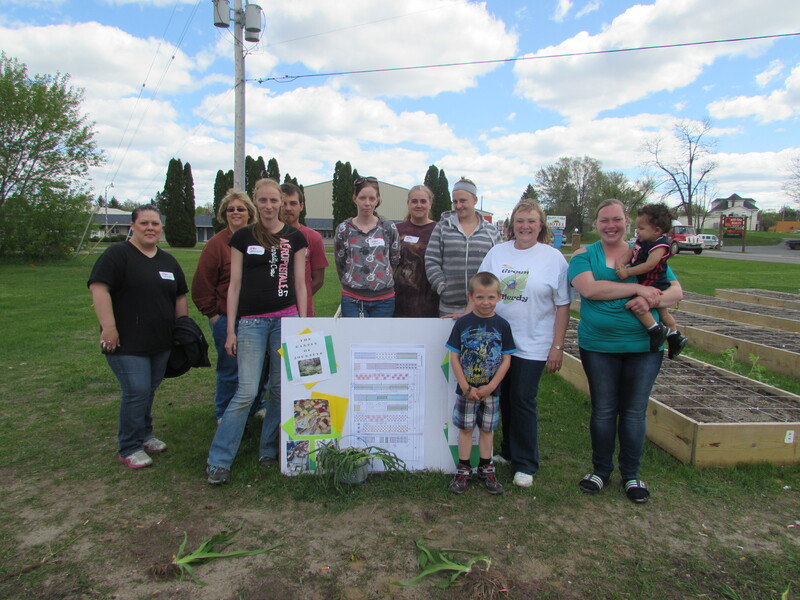 Michigan Works participants/volunteers gather together by the Garden of Journey after completing their Beautification projects. On Friday, May 23 around 20 volunteers’ could be seen throughout Harrison raking, washing windows, mowing and cleaning up local businesses. The Michigan Works Region 7B participants and volunteers began their beautification project at 1 p.m. and wrapped up their seven different beautification projects around the city by 4 p.m.
Michigan Works Region 7B Planning, Marketing Coordinator, Kelli Nicholas was on scene keeping watch over the projects and volunteers. Nicholas said that the main reason behind these beautification project is not only to make Harrison look presentable to the tourists coming up for the holiday weekend, but to also promote awareness for increased physical activity. Volunteers washed windows and raked at Country Flowers, S&R Diner, Smokin’ Hott Tanning salon and the auto parts store. They raked and blew leaves out of the dugouts, City Park and fairgrounds, mowed at the community gardens across from the Library and cleaned between the Library and historical garage. Nicholas explained that most of the businesses who benefited from the clean up were a few of the businesses that helped fund and donated items for the Michigan Work’s Community Garden, called the Garden of Journeys. Volunteer Amanda Stephenson said that she and her significant other worked first on cleaning up and prepping the community garden and then made their ways over to help clean up Country Flowers, the tanning salon and auto parts store across from McDonalds. Stephenson said that the garden has been her major project while working with Michigan Works. “It’s a great project,” Stephenson said. She explained that this garden produces fresh fruits and vegetables for locals who wish to eat fresh produce. Nicholas said that this project was a great way to not only make Harrison beautiful, but it was also a way to raise awareness among the general public about getting more active with what the community has to offer, and it was a wonderful way for participants to get active. This project was sponsored by the City of Harrison and Central Michigan Health Department. The Farwell Farmer’s Market’s grand opening is quickly approaching! Let’s meet yet another vendor who will be frequenting the Market this summer. My name is Jan Suchowesky. I am married and my husband, two dogs, and four cats reside in Lake, Michigan. I have always liked to be creative, but never seemed to have time until I retired in 2008. I call what I create “Yard Art”. I rescue junk bowling balls and cover them with glass globs, stained glass, broken mirrors or whatever I think might look nice. After receiving a hand crafted gazing ball as a gift a few years ago; I decided to try making one. I enjoyed doing it so much that I have sold or given away over 100 so far! 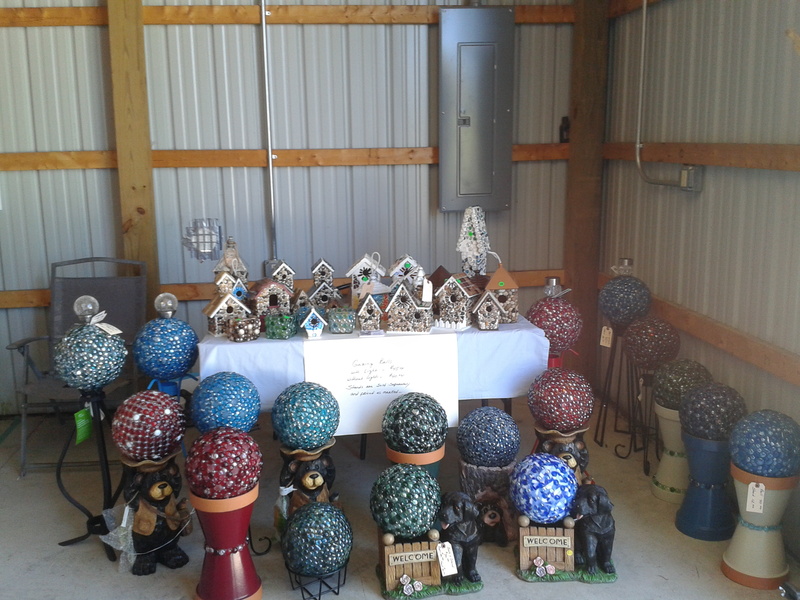 I will be displaying my “Yard Art” at the Farmers market in Farwell on Saturdays from 9:00 a.m. to 1:00 p.m. June thru October. I hope to see many new faces there this year. 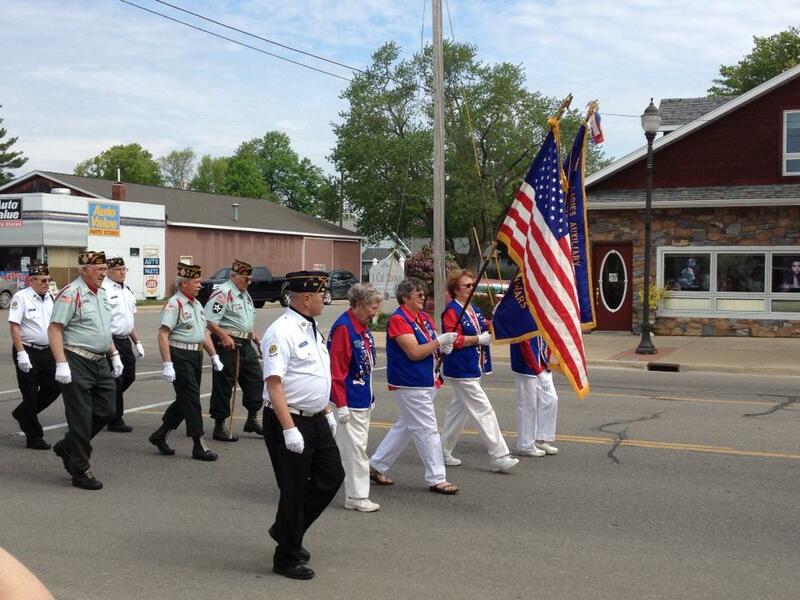 This Memorial Weekend brought hundreds upon hundreds of visitors to Clare County. 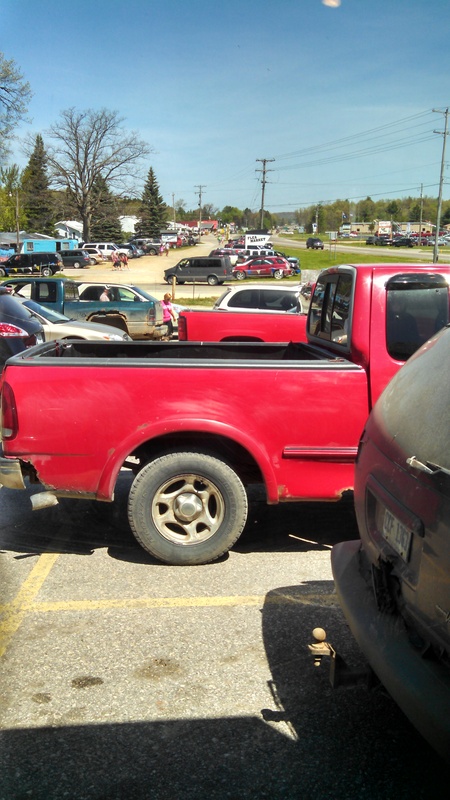 The Harrison Flea Market with a packed parking lot that flowed into the lot of Mr. Georgio’s Pizza, Subs and Wings. Wilson State Park in Harrison had no vacancies by Sunday, May 25, and local businesses were buzzing with activity. 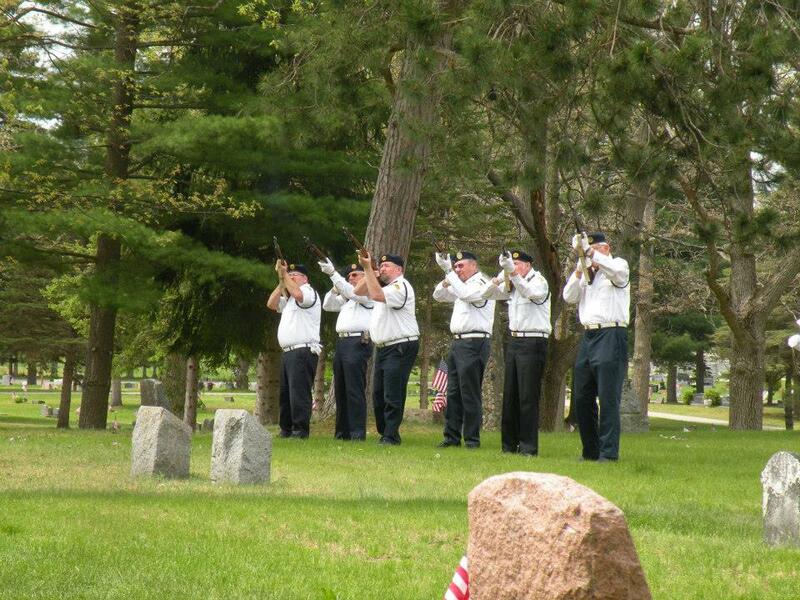 On Monday, May 26, Memorial Day, Clare, Farwell and Harrison all paid their respects to the men and women who fought and who are fighting for our freedoms. Harrison- A salute to those men and women who have fought and are fighting for our freedom. From us at the Cleaver, we wish you all had a safe, happy and busy Memorial Weekend, and a big thanks to those men and women who have served our country and those who still are. Farwell Farmer’s Market—Nancy House of Harrison, Michigan has been sewing since the 60’s but didn’t begin work in the area of quilting until the year 2000 with her retirement from teaching and supervising laboratory classes in the area of Foods and Nutrition at Central Michigan University. “I love working with color and after progressing from cross stitch to quilting my creative side kicked in. I love piecing as well as appliqué, hand quilting as well as machine quilting, and the precision of paper piecing. I guess I love it all and take great pride in the quality of my work.” Several of her larger quilts have been seen at the American Quilt Associations international quilt shows in Paducah in 2011 and Grand Rapids in 2012. Prior to this she won many blue ribbons for her work shown in Harrison, Clare, and Bay City, from 2004 through 2012. Her quilt, Botanical Log Cabin, is featured in the 2014 AQS Quilt Day Planner. Nancy was a regular vendor at the Farwell Art and Craft Farm Market for 2013 and hopes to do as well in 2014 displaying her purses and other handmade articles. Her assistant, Barbara Ferrett, also of Harrison, will include some of her handmade items as well. *click photo to link to the Farwell Art/Craft and Farmer’s Market Facebook page. Supervisor of Hayes Township, Terry Acton gave us an update on the referendum petition that has been advertised in our paper for the past seven weeks. After the seven weeks, the petition has received three signatures. One from a former employee and two from friends of the former employee. Acton said that this means that the decisions on the building project will now fall back to the Board. Acton said that with such few signatures that he can only assume that this means that the residents of Hayes Township have decided not to take this decision to a ballot proposal. Acton and the Hayes Township Board members would like as much of the communities input as possible, so when the project bids come in, Acton said that they will set up another public meeting at the Community Center on Grant Road and ask for the people’s opinions again. 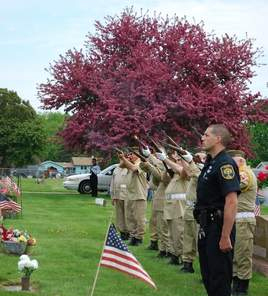 For any extra information you can visit the Township’s website at http://www.hayestownship.com/ or give them a call at the Township Hall at (989) 539-7128. We got an update after the paper went to print from Deputy Stotzel. Stotzel said that the group of canoers honored in out front page story were actually a group of kayakers. Stotzel said that the group was from down state and that not only did the one man run miles back and forth to get help to their location on the Muskegon River near Temple, but another kayaker held the man, who was apparently having some type of seizure, down until help arrived so that he wouldn’t fall back into the river. It took six of the kayakers and MMR personnel to carry the man the mile back to the ambulance. Stotzel said he followed behind carrying the medial bags and that the group even had to make the trek over an old railroad bridge, just like in “Stand By Me” but a lot smaller, Stotzel said. Stotzel also gave us an update that the man was let out of intensive care and is now back in his own home. 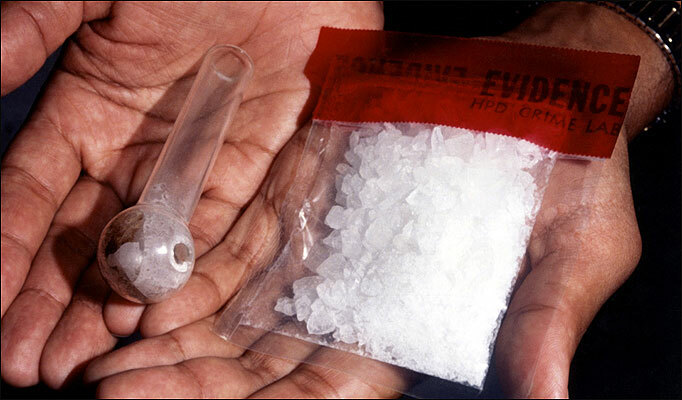 Think link is to a story that our reporter did for her final Journalism project at Central Michigan University about Meth in Clare County.